Ian was absolutely first class, providing a professional and respectful service that allowed us to say goodbye to Mum with a celebration of her life rather than just grief at her death. Ian and Denesha have managed to keep the best of tradition but include the best of technology to prepare and run the funeral. We interviewed a few funeral directors before deciding who we would use to make saying goodbye special. Ian George was by far the clearest and most sensitive in presenting his service. Nothing was rushed and we never felt under pressure to make decisions too quickly. He presented various options but if we preferred anything different he did his best to facilitate that. Mum was always very particular about how she looked, and Ian dressed her, did her make-up and hair to ensure that she looked as she would have wanted when people visited her at his chapel of rest. And, although few people like mentioning this, he gave the best value - for example, the limosines we at our disposal for the funeral, wake and committal, with no additional charges. Ian and Denesha always returned calls and emails very quickly, no matter what the time of day or evening. Thank you Ian and Denesha, Mum had a really good send off with all the friends and relatives (80 of them) agreeing. Ian was very caring and made a huge difference at a difficult time. A wonderful professional service with advice when it was requested. All my family are very grateful for how he handled things from the day of my Mother's death. Ian treated us with such care and accommodated all our wishes. I can’t thank him and his team enough. Ian and Danesha have helped me to arrange two funerals over the past year. They're excellent. Kind, respectful and caring. I knew I was in good hands at an extremely sad and difficult time. Ian led the services and both were very lovely, appropriate and what my family members wanted. It's important to have someone who is both knowledgeable experienced who can help guide you step by step through the processes. Would recommend them to anyone who has the unfortunate need to organize a funeral for their loved one. Could not recommend anyone better than Ian. Very professional and careing to your needs. A wonderful and sensitive service. Ian organised everything and provided a superb funeral. He was on hand constantly to ensure everything was as easy as possible for the family. Thanks Ian. Ian and Denesha were a great help and support at a difficult time. Ian was most supportive and understanding at a difficult time. He helped us to make decisions and enabled us to personalise the funeral in ways we would not have considered, making the funeral as individual and as special as we could have hoped for. Ian George , was very reassuring very professional and everything went just as we had planned . The funeral service for my son Richard was conducted by Ian and was a lovely tribute fo my Son . Thank you Ian . 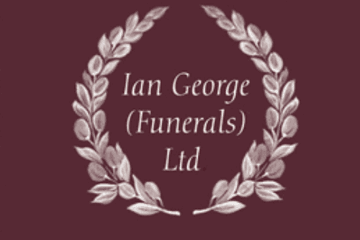 Ian George gave an excellent service which made people chuckle regarding what he wrote about my son .I couldn't fault anything.very sympathetic and empathy towards our family. Ian and his wife made an awful situation far less stressfull than it could of been. They were both amazing and professional and nothing was too much trouble. They were both very caring and respected our wishes. I would highly recommend them. Such a personal touch at such a sad time. Thoroughly recommend with many thanks. 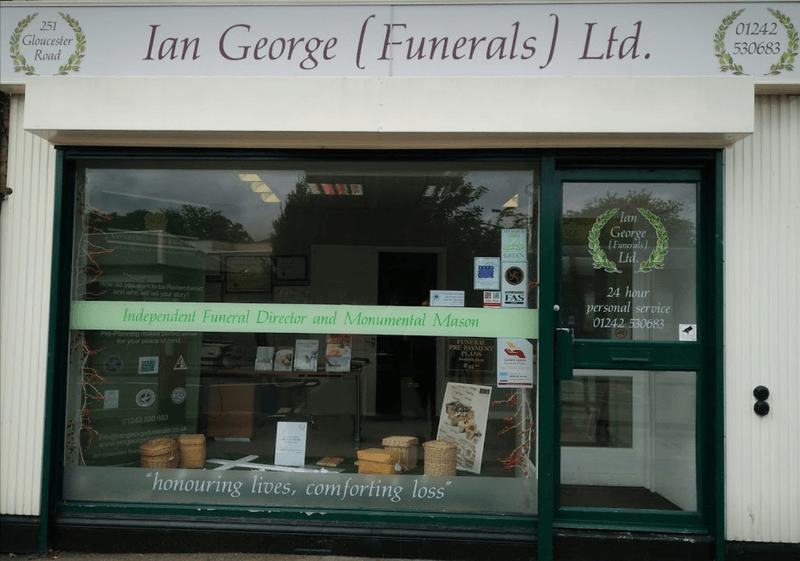 Ian George (Funerals) Ltd will provide you with a free obituary as part of their service.